HUNTINGTON, WV (HNN) – A meeting of Huntington City Council’s Finance Committee will be held Thursday, Feb. 17 at 5:30 p.m. in Huntington City Council Chambers. 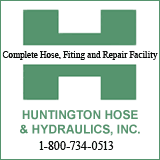 According to committee chairman Steve Williams, the item on the agenda will be discussion of a proposal to bid out various grades of unleaded gasoline, diesel fuel, and on-road bio-diesel fuel for City of Huntington vehicles. The ordinance would likely bring about the closure of the city garage pumping facility. The meeting will be televised on Comcast Channel 24. The public is invited.